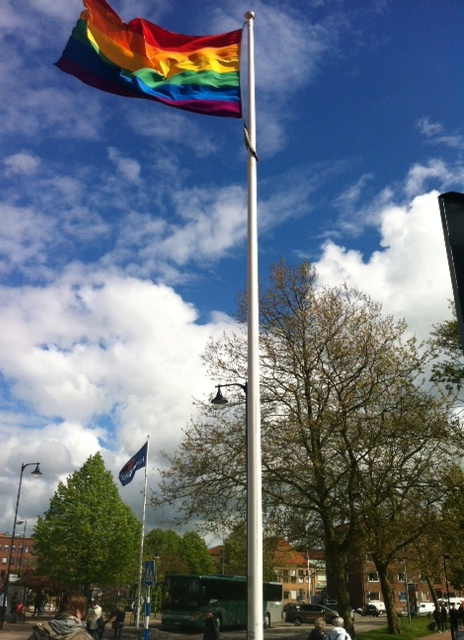 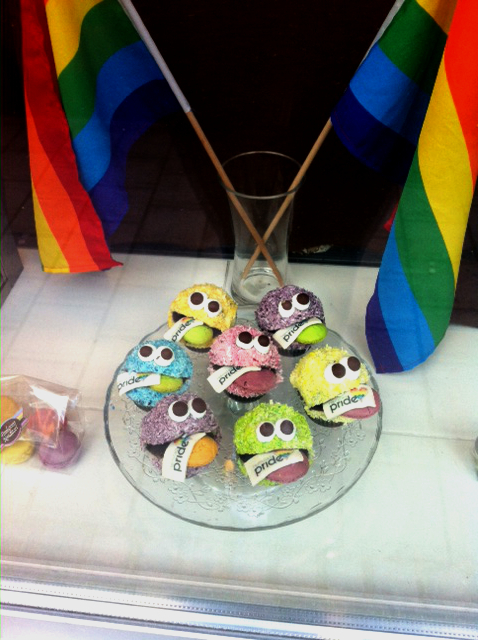 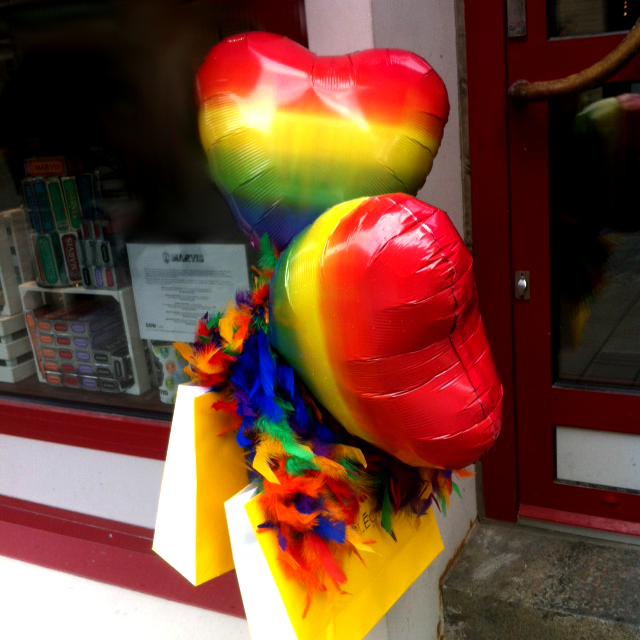 Today I am proud to live in Halmstad, as today is the first ever Halmstad Pride Festival. 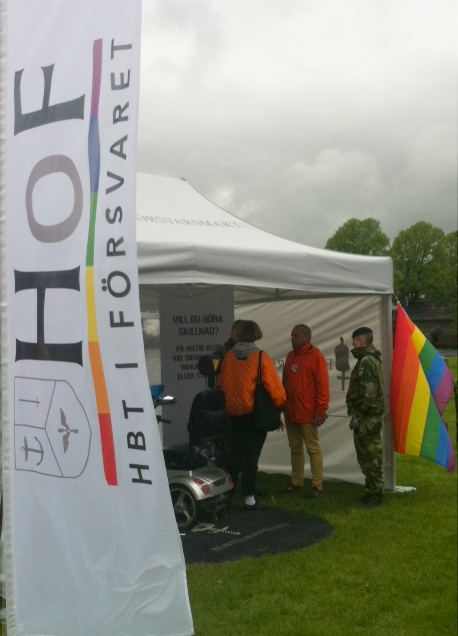 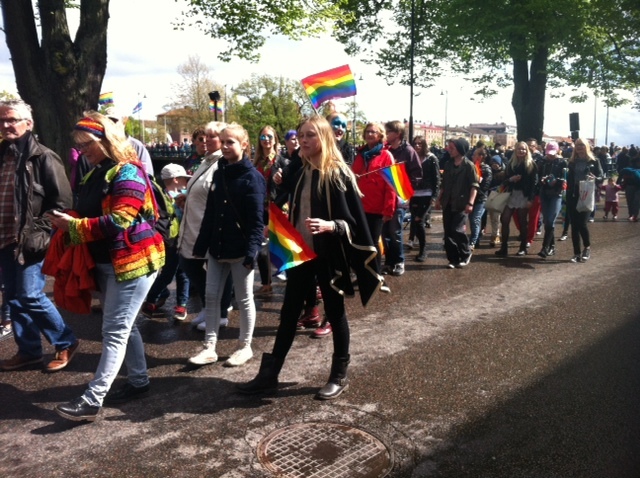 There was a huge turn out to support the LGBT community (HBT in Swedish), especially considering the dreary weather for the first few hours, other big planned events happening all over town, and that the population of Halmstad is only about 58,000. 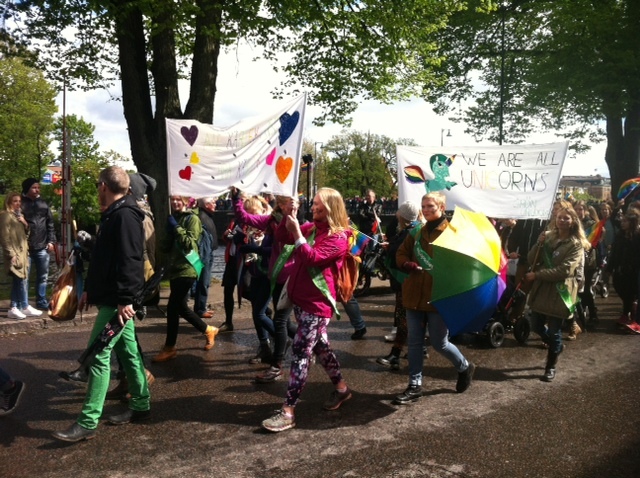 While Halmstad is certainly not one of the first cities in Sweden to publicly embrace and celebrate gay pride with a parade, it is one of the smaller ones. 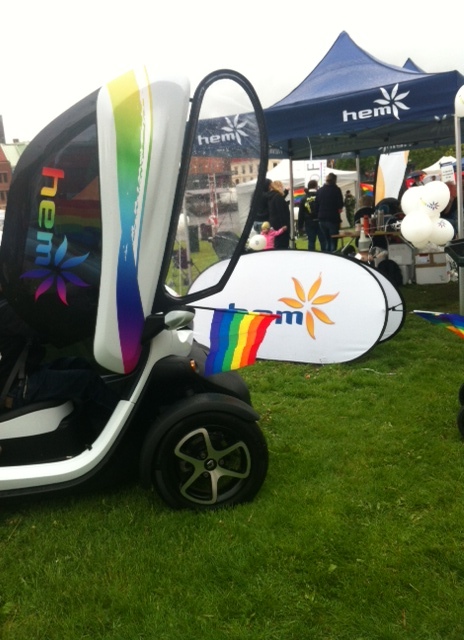 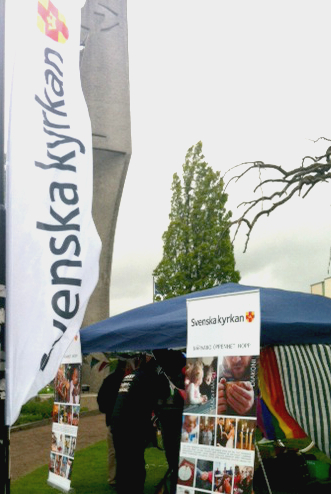 “Park, Parad, Partaj & Påverken” was the theme of the Halmstad Pride. 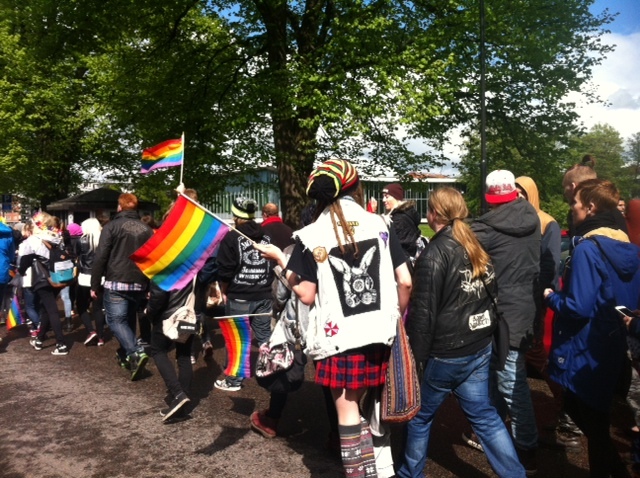 At 10:00 am it kicked it off in Picasso ‘pride’ Park with live music, a fashion show, tents with information, selling of flags, bracelets, flowers, and face painting. 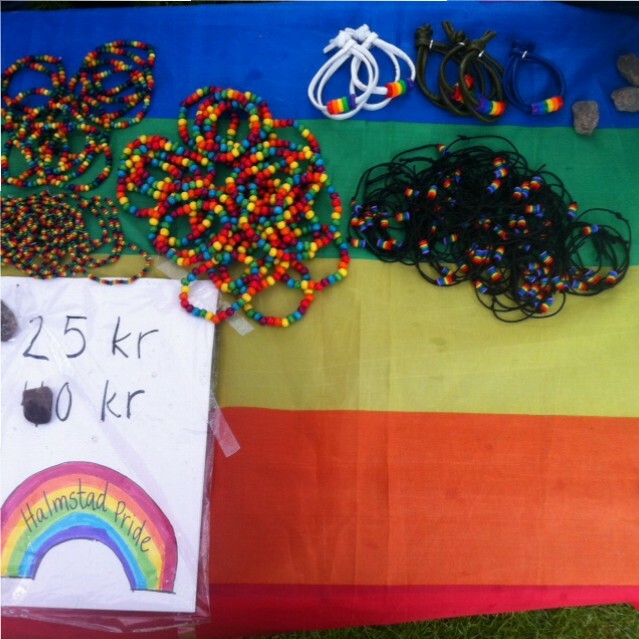 Not only did some companies and small artisans show support by sponsoring, being there, doing face painting, giving out balloons and selling flags & bracelets – but also by offering “pride prices” on merchandise. 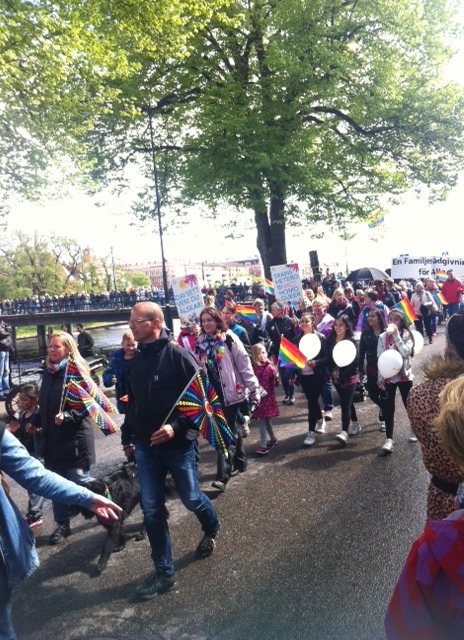 Next was the parade, which filled the stretch along the Nissan river with hundreds of people waving rainbow flags, holding up banners, and spreading positivity. 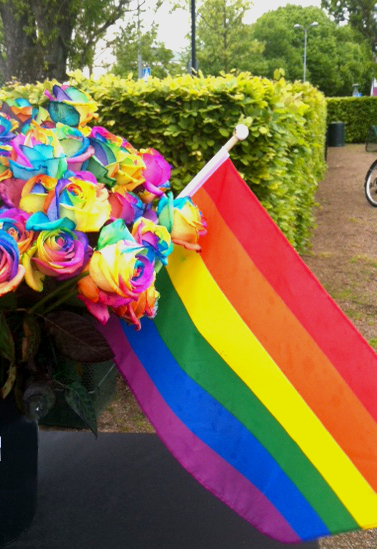 The Party part of Halmstad Pride is a paid event at a local venue with live music, dancing, drinking, performances, and a drag show. 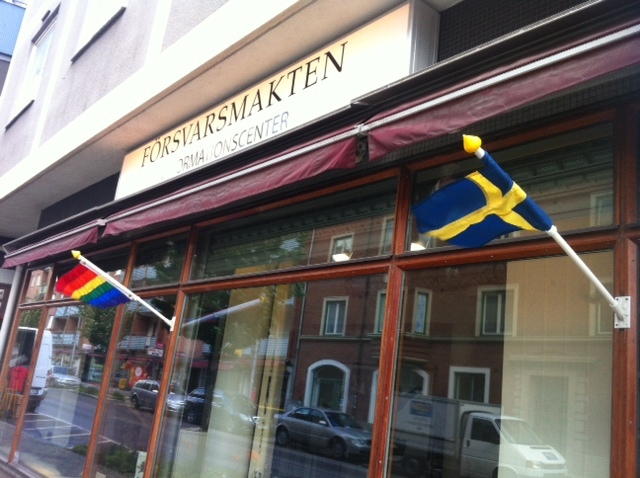 I’m sure it will be a blast. 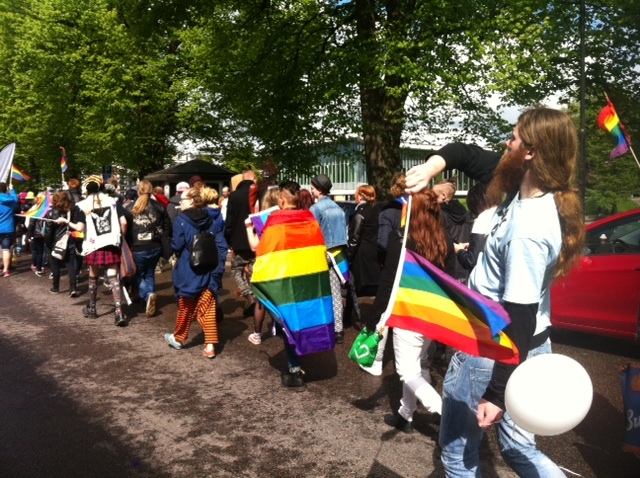 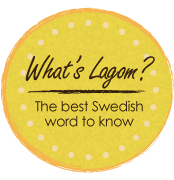 Lastly, “påverka” means “effect” in English meaning that they are trying to raise awareness and equality for the other 364 days out of the year. 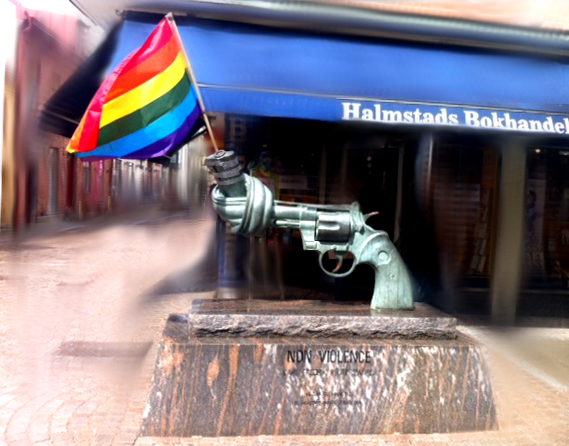 Categories: Halmstad, News | Tags: community, equality, lgbt | Permalink. 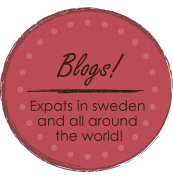 Winter in Sweden is SVÅR! (c) All photographs on SomethingSwedish.wordpress.com are taken by Megalagom and belong to Megalagom unless otherwise specified.